Celebrate in grand holiday style with these Santa Hats from Forever Collectibles. 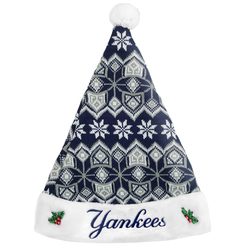 These Santa hats feature the team's name embroidered across the lower part of the hat on the front, the team logo and a vibrant team color design. ?�One size fits most!